Essential Exercises for Strength & Control. Level 2 & Up. All Regions DVD. 90 minutes. 18 exercises. As you do these exercises on a portable barre in front of the mirror you will be encouraged to use the barre by pressing down on it with your hands. This will energize your shoulder and supporting arm, strengthen your posture, and help you to balance the movement of your legs and feet in center floor. You will also be instructed to keep your head turned toward yourself in the mirror so that you check your placement, alignment, and execution while you develop correct body positions—éffacé, croisé, and écarté. All pliés (except for stretches) are to be performed with opposition and resistance, which will strengthen your feet, ankles, knees, hips, and core. The fondu relevé exercises develop proper placement, balance, and the foot-ankle-knee strength which is necessary in order to correctly execute most poses, turns, and jumps. Learning to plié and relevé correctly on one foot is the determining factor in how quickly you will advance and how far you will go. The CD music is by Scott Killian. “If you are having difficulty deciding which Finis video to purchase, I highly recommend this one. Two things that really help – since you are not technically in a ‘class’ situation, doing the work facing the barre gives you a great advantage when you are looking at yourself in the mirror. Most people don’t have a full wall of mirrors in their home so even a door mirror will work when facing the barre. The second thing is that for many of these exercises, you then do them away from the barre. So you immediately translate the strength you have built at the barre into actual application in the center. This is huge. “Anyone not familiar with Finis Jhung’s teaching would be forgiven for thinking that this DVD, The Power Barre, would include holding one’s leg in the air until the thigh muscle begins trembling. And, although most teachers say not to grip the barre, I am sure that I was not the only one who had secret calluses on their hands working on such a feat. “The barre described and demonstrated in this DVD is not that. It is, however, transformative. From the shoulder, back and arm strength gained from a brilliantly different way to ‘hold’ the barre to approaching the plié as an isometric movement, the body will strengthen in a way that will make the steps in the center a natural progression. 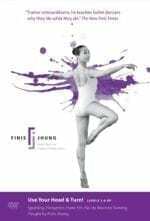 “Finis Jhung’s video The Power Barre emphasizes the importance of barre exercises as the foundation for dancing beautifully with strength and control. Each exercise convincingly shows us how important the placement of the body is, or how using each part of the body in a certain way and sequence builds the strength needed for dancing with ease in center floor. Each exercise at the barre will find its replica in center floor, says Finis Jhung. When the student practices with this awareness of how barre movements evolve into center floor movements, the muscle memory is internalized and movements, steps and poses become automatically correct and beautiful. 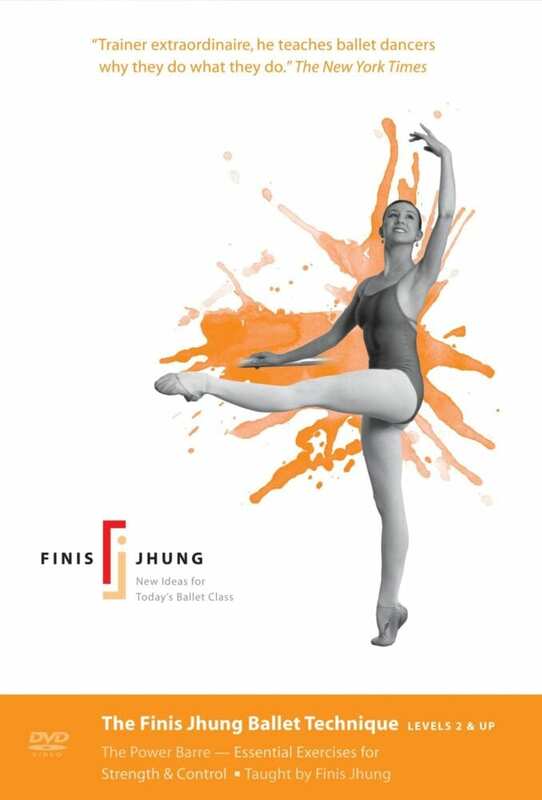 “Unlike traditional classes where the barres are either mounted on walls or placed in parallel with students on both sides, Finis places the barre facing the mirror and asks the student to constantly observe what they do so they may correct themselves all along. This is of tremendous help because it teaches the student how to face the audience or on diagonal correctly. The demonstrator is principal dancer and star of The American Ballet Theater, Isabella Boylston. It is fascinating to watch Isabella’s genuine interest in learning from Finis. Her execution is flawless, which makes it easier for the student to learn how to use the natural turnout and maintain it throughout the exercise, how to do the isometric plie, how to place and use that all-important supporting arm on the barre and, most important, how to fondu and relevé correctly. In addition, Finis teaches musicality and phrasing.